ItemF-07911 - Three miles above Blackwater. ItemD-07311 - "Bull River Traverse; a Bad Piece of Windfall"; Frank Swannell in the centre carrying the tripod. ItemH-04516 - One of Frank Swannell's party lining a boat. ItemF-02960 - From one of the Swannell surveys. Item D-07311 - "Bull River Traverse; a Bad Piece of Windfall"; Frank Swannell in the centre carrying the tripod. 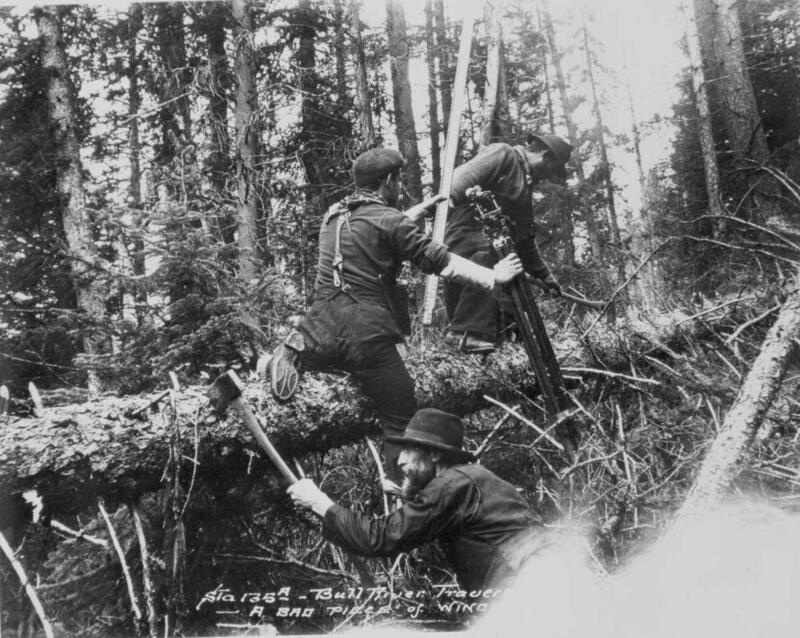 "Bull River Traverse; a Bad Piece of Windfall"; Frank Swannell in the centre carrying the tripod.